Product prices and availability are accurate as of 2019-04-17 05:52:52 UTC and are subject to change. Any price and availability information displayed on http://www.amazon.com/ at the time of purchase will apply to the purchase of this product. 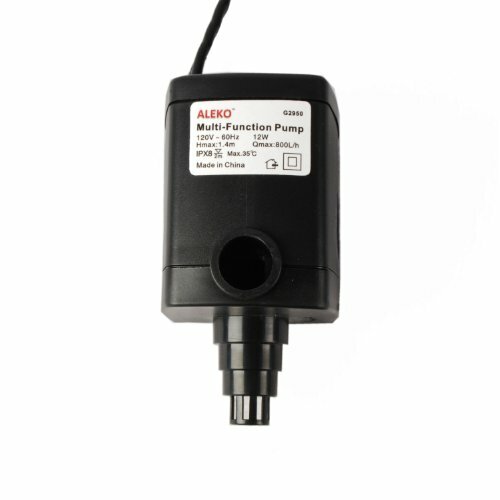 With an ALEKO brand submersible water pump, you can turn a regular small pond, pool, or stream into a beautiful conversation piece, or quickly change and circulate water in an aquarium or terrarium. Our pump works underwater by aiding in water flow, or creating a new flow for still water such as a pond. Circulating water will be kept cleaner for longer, and our pump can also be used to cycle water through an aquarium, fountain, or waterfall. The pump can circulate 210 gallons of water an hour, and its durable design will last a long time without needing to be replaced. 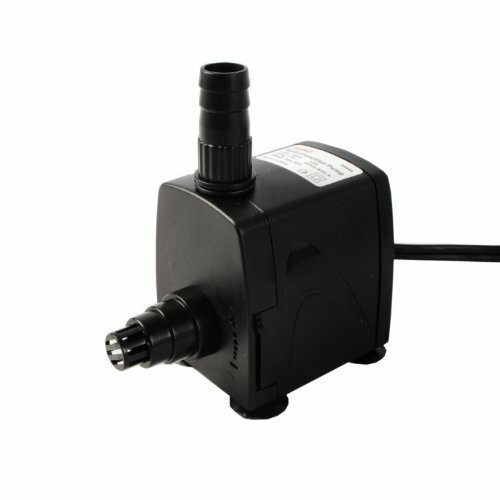 Technical specifications: 110V AC, 60Hz, 12W. Pump discharge diameter 1/2 inch, can pump water up to a maximum height of 4.5 feet. Includes a 4.5 foot long power cord.